If you came here in search of an American-style muffin to accompany your tall caramel macchiato, then you’ll be disappointed. They’re not muffins, they’re cakes. 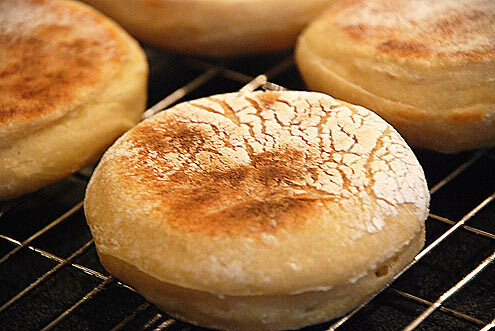 If however you are in search of an English muffin which is light and yeasty and perfect for toasting and smothering in butter, then you’re in luck. A word of warning though, this recipe is a fairly involved three-stage, two-day process. Melt the butter in a saucepan, remove from the heat and beat in the egg, vinegar, water, yoghurt and salt until the mixture is smooth. Put the flour and yeast in a bowl and add the butter mixture. Stir to form a thick batter/runny dough. 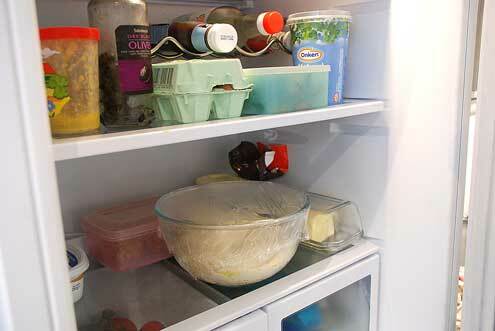 Cover with a tea towel and leave for 10 minutes. Turn out on to an oiled surface and knead for 15 seconds (it’s a very wet mixture, so don’t panic). Place in an oiled bowl, cover in cling film and put in the fridge overnight. Turn out the dough onto an oiled surface and knead briefly (again, it is still very moist). Return to an oiled bowl, cover with a tea towel and leave for 1Â½â€“2 hours to warm up and start to rise again. Line a large tray with a tea towel and cover with a generous layer of flour. Turn the dough onto a floured surface and roll to 15mm thick. 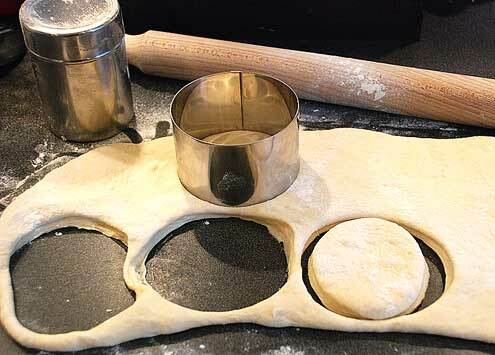 Cut out circles using a 12cm pastry cutter. 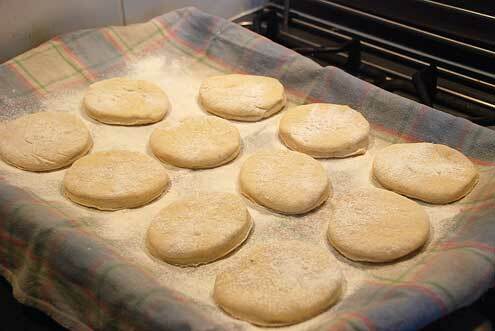 Place on the tray and dust with more flour. Cover with a tea towel and leave to rise for 1Â½â€“2 hours. Find a frying pan with a lid and put on a moderate heat. 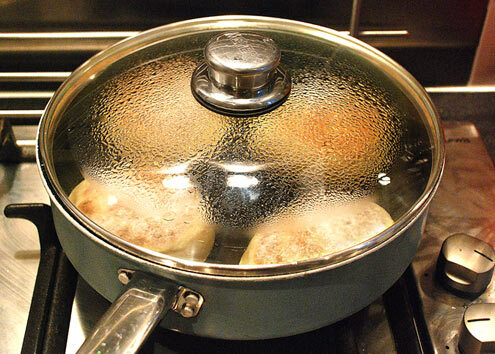 Place 3â€“4 muffins in the pan, cover with the lid and cook for 2â€“3 minutes until golden brown. Turn over and cook the other side for a further 3â€“4 minutes. During the cooking the muffins will rise and expand, so don’t pack them too close. Place on a cooling rack and cover with a tea towel to keep them soft. Repeat until all the muffins are cooked. Verdict: Bloody marvellous. The overnight chilling produces a dough which is as light as an angel’s kiss. Drink: Has to be accompanied by a mug of tea. Entertainment: Over the two day process we watched ‘300’, an Ed Byrne stand-up and ‘Blakes Seven’. All good in their different ways.